Project Schedule – AAA Partnership Pvt. 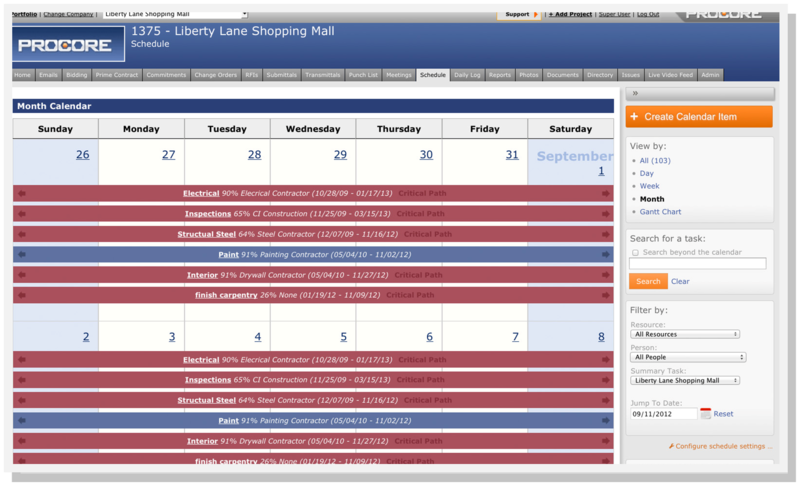 Ltd.
See a project schedule in a calendar view by day, week or month -- or stick to the traditional Gantt view. Procore makes it easy to use the view that's easiest for you. Procore's construction project management software brings the power of online search to your project schedule. Search for and find any task in moments. Procore integrates with the scheduling software you already use - whether that's Microsoft Project, or Primavera's products. Just click to edit your schedule. Use Procore's filters to view scheduled tasks by person, resource (company) or even summary task. See a project's completed tasks, in-progress tasks and critical path in a single view.